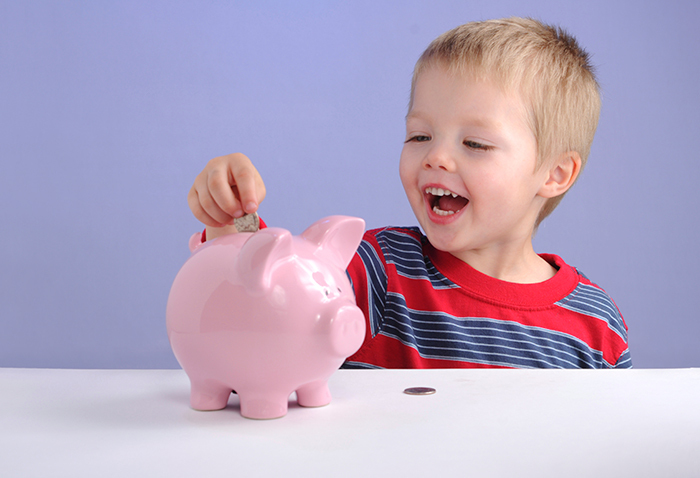 KidStart Magazine > Saving Tips > Household savings > Save or Spend? I was relatively lackadaisical with money until I had children, and between leaving my parents’ home and creating our own family home I temporarily put the mantra of delayed gratification that had been drummed into me as a child on hold. It wasn’t that I wasted money as a student, I didn’t have access to enough to waste any! I just spent it until it was gone, then stayed in and ate beans on toast – as I was sharing a house with three or four people (it varied) who lived exactly the same way it worked out fine. l ended up with a running but fairly manageable monthly deficit until I got to grips with things – a proper job with long hours and weekends spent covering flower shows rather than shopping helped. I managed because, although I gave myself the odd financial fright – the phone was always a whisker away from being cut off – I had the basics right – I knew that if I spent money I didn’t have I could wave goodbye to that budget holiday in Greece What for so many of us was so horrific, and let’s admit it, galling, about last week’s looting, was that it turned that theory upside down and stuck two fingers up at it. Why save up for a pair of jeans (my first proper going out jeans were Wranglers from Vanstone’s in Halesworth and cost £5.75) when you can grab yourself an armful through a broken window? The tragic thing is that most of the looters will end up paying a much higher price in prison, and it is truly heartbreaking to see the pictures of those children going to court with the realisation of what they have done finally visible on their faces. Too little too late. So, to business – the Junior ISA comes in to effect in November and whether or not you feel like paying into one or taking a punt on the stock market, or indeed have a child who is eligible, it’s fun to play around with the figures. Investment firm Fidelity have been doing some sums and have worked out that if parents pay in the maximum allowed – £3,600 for each child – and assuming a 5% growth every year – your son or daughter will be able to walk away with £101,336.52 if they cash it in at 18. But here’s the great bit – if they wait until they are 21 it grows into a whopping £163,063.60 in those final three years. Oh the magic of compound interest. And you couldn’t get a more tangible example of delayed gratification than £50,000. £3,600 a year works out to be about £70 a week, or a tenner a day, so all we have to do now is stop buying cappuccinos, takeaways, scratch cards and magazines forever (sometimes I wish I smoked just so I could give up – I’d make a fortune) and make our children sign in blood not to touch it until they are 21. An 18 year old can do an awful lot of damage to £101,336.52 in three years. I know I would have! Amanda Deal of the day: If it’s good enough for Brad and Angelina it’s good enough for me – Halfords are offering 50% off adult bikes and 2% in your Kiddy Bank of you shop through KidStart. Scary statistic of the day: According to Patrick Collinson and Tony Levene in the Guardian today even our holiday money is worth less this year – last year we could have exchanged £1 for 1.22 euros, this August we only get 1.14. How can that be!